Bud Light unveiled a new campaign that aims to reward Cleveland Browns fans with free beer. 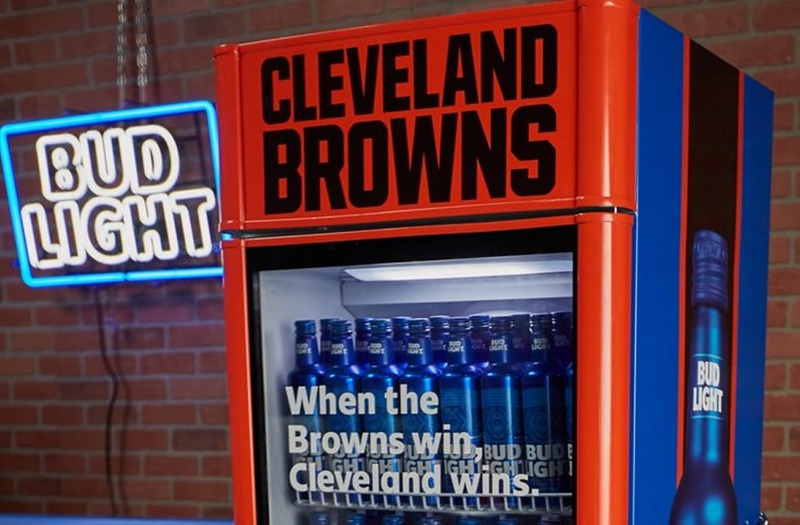 The brand is installing "Victory Fridges" in Cleveland bars filled with Bud Light, which will be distributed for free once the Browns earn their first victory of the year. The campaign prompted Twitter users to all reply with a different version of the same joke, slamming the Browns for their 0-16 season in 2017. Bud Light has come up with an intriguing way to reward loyal fans of the Cleveland Browns this year — by giving them free beer when their team finally gets a win. Coming off a winless season and with just one win in the past two years, the Browns have been the most troubled franchise in the four major American sports for some time now. But with a revamped roster including a few players that might have finally solved the team's ongoing search for a quarterback, Cleveland looks primed to improve this year. In preparation for the Browns eventual victory, Bud Light is installing what they've dubbed as "Victory Fridges" in some bars in Cleveland, that will remain locked until the clock runs out while the Browns still hold the lead in a regular season game. "We're proud to show our support for Cleveland," said Vice-President of Marketing Andy Goeler in a statement. "We're always looking to bring NFL fans and friends together for memorable experiences. It's going to be fun to be part of the celebration when the team earns their first victory of the season." While the advertising gambit is all in good fun, when ESPN's Darren Rovell shared the story on Twitter, it prompted many users to reply with the same joke at the team's expense. @darrenrovell @budlight Will the beer still be good next season? @darrenrovell @budlight what's the shelf life for a beer? Asking for a franchise. The Cleveland Browns kick off the 2018 regular season at home against the Pittsburgh Steelers. While they might not win that game, if they can put together just one victory through the season, it'll mean a Browns fans get treated to free Bud Light.